This growing season is presenting some unique challenges – very localized insect threats (reports of individuals with only one or two fields out of many at threshold), individual canola fields that are in flower for 6 weeks and counting, etc. Each field needs to be looked at individually so decisions can be made efficiently, timely and when necessary. Be diligent in your scouting – you need to scout to know. 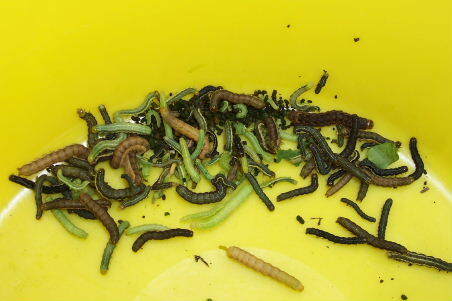 Bertha armyworms are present in scattered fields across the west with limited spraying required to date. 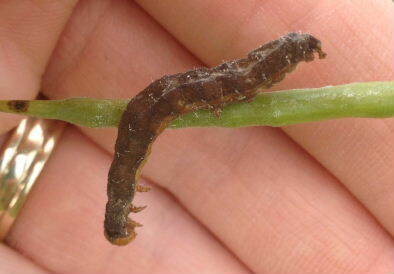 Larvae are approximately ¾ to an inch long and are generally feeding on leaves in the canopy. As the crop matures and leaves drop, they will move up and begin feeding on pods. Growers that have scouted and found bertha this past week have needed to spray only one or two fields out of many. Bertha moths can be choosy which fields looked best for egg laying. Start scouting each field now to assess what appears to be a very localized, random bertha armyworm threat so far. Swathing has begun in the southern Alberta and in the very earliest fields in Saskatchewan and Manitoba. Ideal swathing time for maximizing yield and quality is when 60% of the seeds on the main stem have turned colour. Swathing too early can result in green seed concerns and significant yield loss. If you have trouble with the embedded quiz on your device, click here. 2. Less risk of green seed problems. Crops with uneven maturity can be difficult to manage at harvest. There may be uneven maturity within the field (between knolls and low spots) and within the plants (between main stem and side branches which is more critical in low density stands). Swathing too early can result in a significant proportion of green seeds that may not cure in the swath. The only way to clear green seeds in swath is to have moisture and most of western Canada does not need any more moisture. Waiting until the majority of the crop has reached 60% SCC on the main stem will reduce the risk of down grading. Canola swathing tips guide available here. 1. Higher yield. 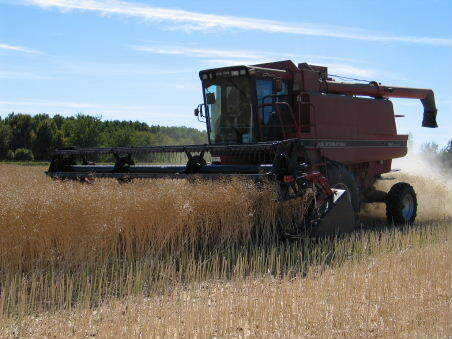 Research conducted by the Canola Council of Canada over approximately 28 site-years indicates that significant yield increases could be achieved by swathing at 60 to 70% SCC. Swathing at 60% SCC resulted in 8% more yield (which was equivalent to about 3 bushels/acre) than at 30 to 40% SCC, 12% more yield than at 10 to 20% SCC, and 19% more yield than swathing before 10% SCC. Read more for the other eight. Why are there blanks instead of pods? 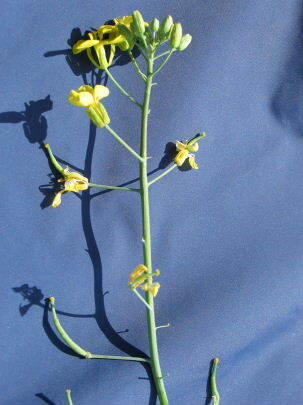 Again this year, canola crops with blanks or missing pods on the main stem are being found. Typically, a missing pod can result from any stress on the plant because stress inhibits proper fertilization of the flowers. It is important however, to accurately determine the cause of the stress in order to take steps to reduce its impact on future crops. A number of factors that can cause blanks to occur include: heat stress, moisture stress (excess or drought), fertility issues, or herbicide stress. Murray Hartman, oilseed specialist with Alberta Agriculture and Rural Development, at Canola School shared scouting tips to help determine when and why a plant may produce blank pods. A factsheet on blank pods and why they form is available for download here. Bertha armyworm spraying has been reported in a few fields. Scout lower in the canopy this week, looking for larvae feeding on lower leaves. Scouting now will give you a couple weeks’ planning time before leaf drop begins and berthas start moving up toward the pods — where they do their most costly damage. By holding off until bertha larvae reach pods, you also give various natural controls — such as disease, beneficial insects and weather — to reduce the population and perhaps eliminate the threat. Pre-harvest interval (PHI) refers to the amount of time that must lapse (in days) after a pesticide application before the crop is cut (ie. swathed or straight cut). Failing to comply with a product’s pre-harvest interval is a contravention of the Pest Control Products Act (PCP). The PCP Act was put in place to protect human health and safety and the environment by regulating products used for the control of pests. It is important to adhere to the PHI to ensure no unacceptable chemical residues will be found in harvested seed. Adhering to the PHI ensures canola is safe for domestic consumption/use or export. With 85% of Canada’s canola crop exported around the world, it is critical that our canola meets the requirements of our export customers. The ideal swath timing is when 60% of seeds on the main stem are showing some colour change from green to brown. Colour change is considered any amount of yellowing or browning on the seed. To determine ideal swath timing, fields need to be walked and pods need to be cracked – it is 60% seed colour change not pod colour change. What is the “economic” threshold for lygus? 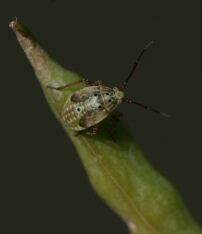 Lygus counts are very high in some locations, but get out the sweep net and scout to be sure. 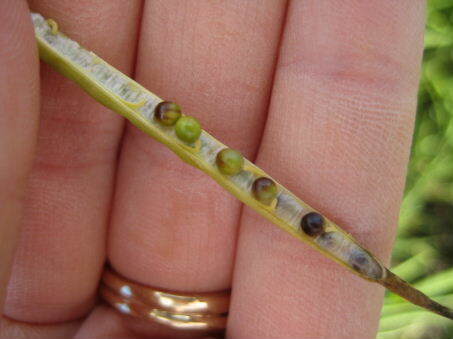 If canola is $12 per bushel and application costs (insecticide and application) are $12 per acre, the economic threshold for lygus bugs is 8 per 10 sweeps at the end of flowering and 11 per 10 sweeps at the pod ripening stage.